The L293D H-Bridge Motor Driver IC is a dual H-bridge motor driver integrated circuit (IC). The L293D H-Bridge Motor Driver IC is a dual H-bridge motor driver integrated circuit (IC). It acts as a current amplifier by taking a low-current control signal and provide a higher-current signal. This higher current signal is used to drive the motors. 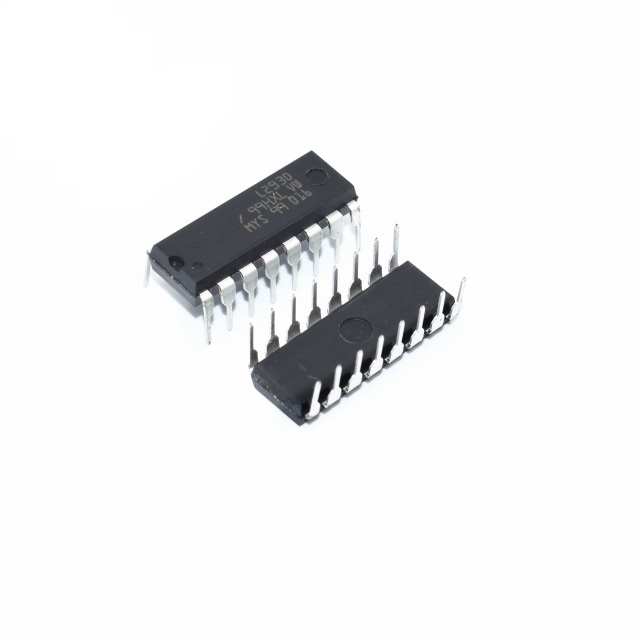 The L293D H-Bridge Motor Driver IC contains two inbuilt H-bridge driver circuits. In its common mode of operation, two DC motors can be driven simultaneously, both in forward and reverse direction. The motor operations of two motors can be controlled by input logic at pins 2 & 7 and 10 & 15. Input logic 00 or 11 will stop the corresponding motor. Logic 01 and 10 will rotate it in clockwise and anticlockwise directions, respectively. Enable pins 1 and 9 (corresponding to the two motors) must be high for motors to start operating. When an enable input is high, the associated driver gets enabled. As a result, the outputs become active and work in phase with their inputs. Similarly, when the enable input is low, that driver is disabled, and their outputs are off and in the high-impedance state.